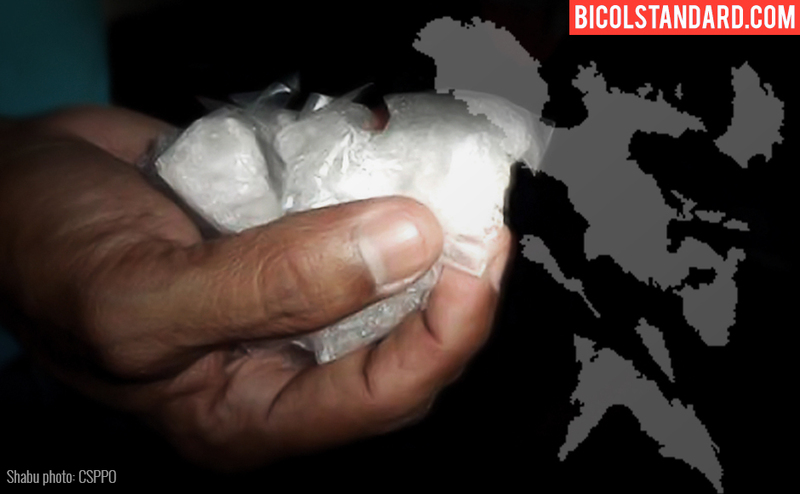 NAGA CITY (Bicol Standard) – The father of the 21-year-old suspect who was arrested for possession of at least P4.7-million worth of illegal drugs was apprehended by the police in a buy-bust operation here Friday night. Roel Lizano y San Joaquin, 48 years old, and Barangay Tanod of San Felipe was nabbed at his residence at San Miguel Street, Zone 3, San Felipe, this city. He was arrested with Carlito Alegre y Mendez, Jr., 37 years old, construction worker and carpenter, who resides in the same street. The Naga City police said a poseur buyer with an informant purchased from the two suspects five heat-sealed sachets containing a substance believed to be shabu with a P500.00 bill and P84,500.00 boodle money. Recovered from Alegre’s possession were around 100 grams of suspected shabu; a perfume box containing seven heat-sealed sachets also with suspected shabu; the P500.00 marked money, the P84,500.00 boodle money; and cash in different denominations amounting to P5,560.00. Meantime, seized from Lizano were a brown leather wallet with a sachet containing suspected shabu, and one cellphone. The confiscated suspected shabu had an estimated market value of P1,122,000.00. Said suspected shabu will be brought to the Provincial Crime Laboratory Office at Barangay Concepcion Grande for examination. As of this writing, the investigator-on-case is now preparing the necessary documents for filing criminal charges against the suspects for violation of the Comprehensive Dangerous Drugs Act of 2002. It will be recalled that on January 12, Roel Lizano's son Jude Lizano y Alegre was arrested with P4.7 million worth of shabu at Barangay Calauag, this city.